It is a 40mm, rose gold case, adorned with a diamond bezel, and automatic movement. It also features an exhibition glass back. 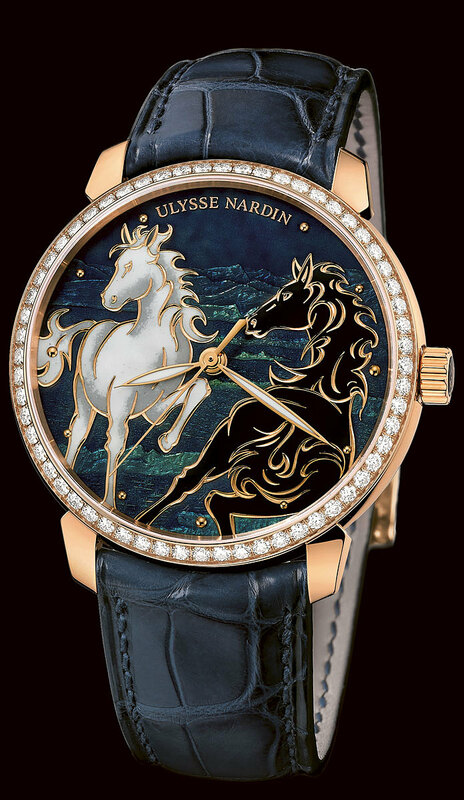 The dial is beautifully detailed by hand featuring two horses running in the wild with a mountain backdrop. It is available on elegant crocodile leather strap and regular pin buckle.